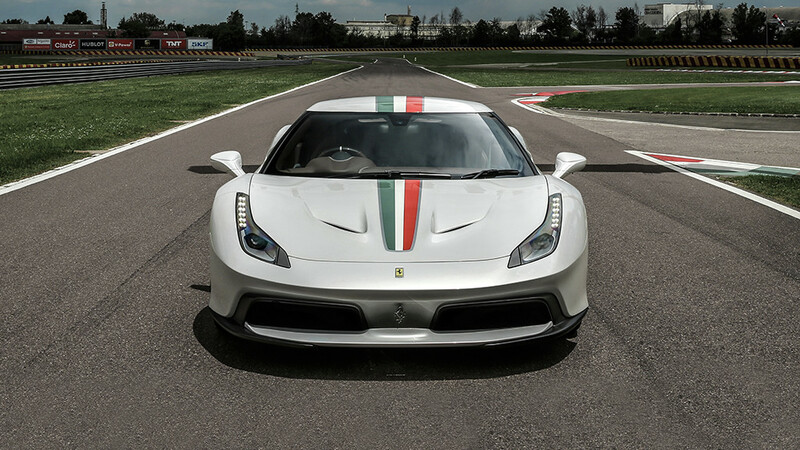 Ferrari 458 MM Speciale One-Off – Even Closer to Perfection? Is the Ferrari 458 Speciale just too pedestrian for you? If so, you can place a custom order for a One-Off designed by the Ferrari Styling Centre much like this British gentleman did with the 458 MM Speciale. For comparison, here is the side profile view of the Ferrari 458 Speciale. Based on the 458 Speciale, this custom build features unique bodywork handcrafted in aluminum with carbon fiber bumpers and new side air intakes. The longer nose makes the car look even sleeker than before. The most notable difference that stuck out to us is the blacked out A pillar that gives the effect of a single piece of continuous glass that connects the side windows and windshield (a la 288 GTO). It’s a shame Ferrari didn’t release a interior shot. The car has a tasteful Italian flag livery on top of the Bianco Italia white paint. The wheels are also exclusive to this One-Off and further enhances the look of the car. Mechanically it is the same as the 458 Speciale. Usually we’re not fans of special editions with no significant performance upgrades, but I think the the 458 MM Speciale is a worthy exception considering the performance level and balance of the base car. 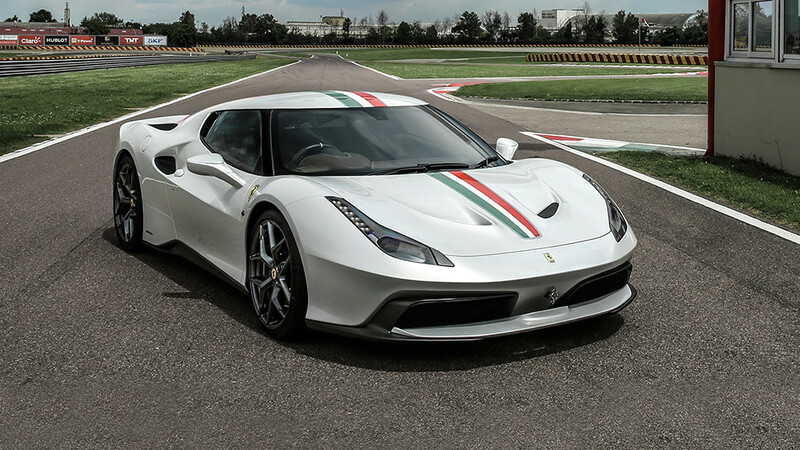 Then again, Ferrari does have to leave some room for the top performance version of the 488.